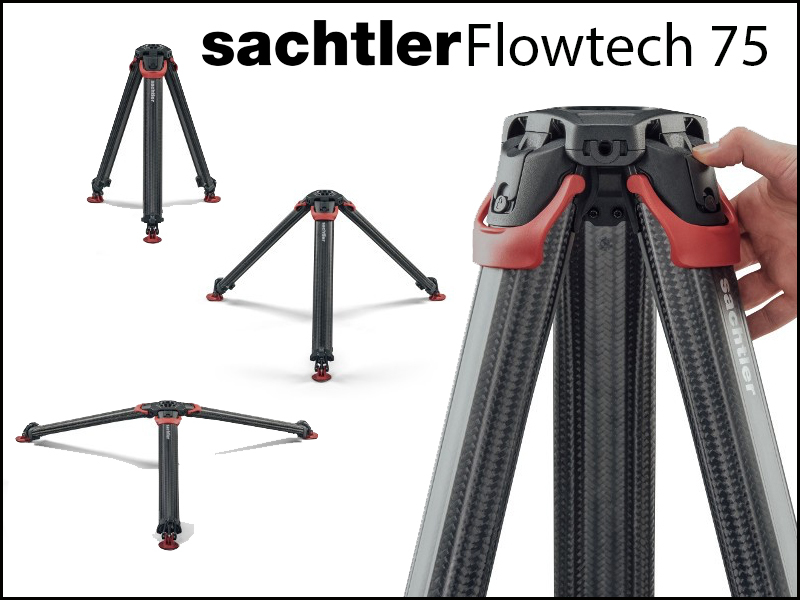 Sachtler have produced a new set of carbon fibre legs called the Flowtech 75 at a reasonable price of £810 plus vat. 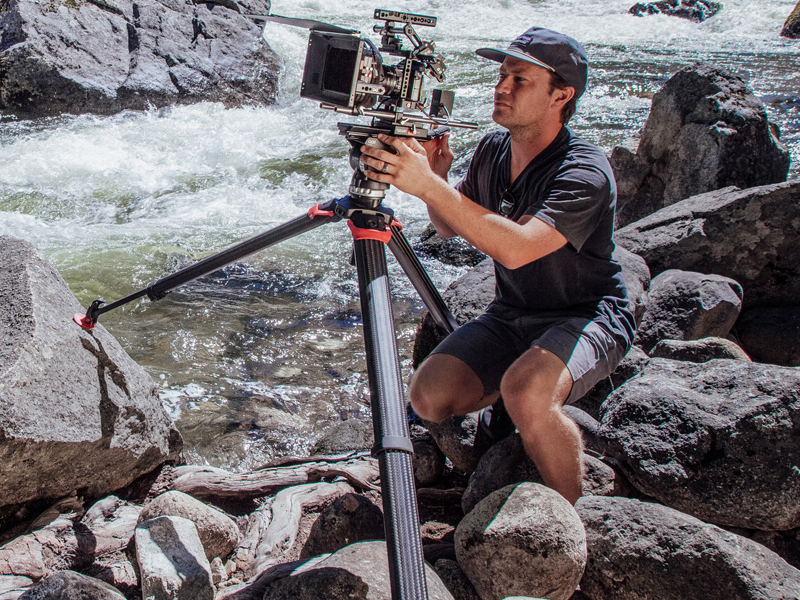 The Sachtler 1017 System Ace XL fluid head with flowtech™75 tripod legs offers a tripod system for videographers who use cameras weighing up to 8 kg (17.6 lbs). The Ace XL system enables broadcast-style performance while using lightweight components more suited to HDSLRs and compact camcorders. The Ace XL fluid head features fiberglass-reinforced composite construction and weighs only 1.7 kg (3.7 lbs). The two-stage carbon fiber legs weigh only 2.9 kg (6.4 lbs). This makes the system lightweight at only 4.8 kg (10.6 lbs). The Ace XL Fluid Head has a fiberglass-reinforced composite construction that is both lightweight and strong, a counterbalance system with eight stepped settings for up to 17.6 lbs of counterbalance, Sachtler’s Synchronized Actuated Drag (SA-drag) fluid drag system for both pan and tilt. The SA-drag system provides three drag grades, plus a zero setting for no drag and a panning range of 360° and tilt range of +90 to – 75° +. The ACE 5.5″ long camera balance plate allows 4.1″ of sliding balance adjustment, there is a 75mm ball for fast levelling, and an illuminated bubble level built into the head plus one mounting point for the pan bar on the right side of the head. 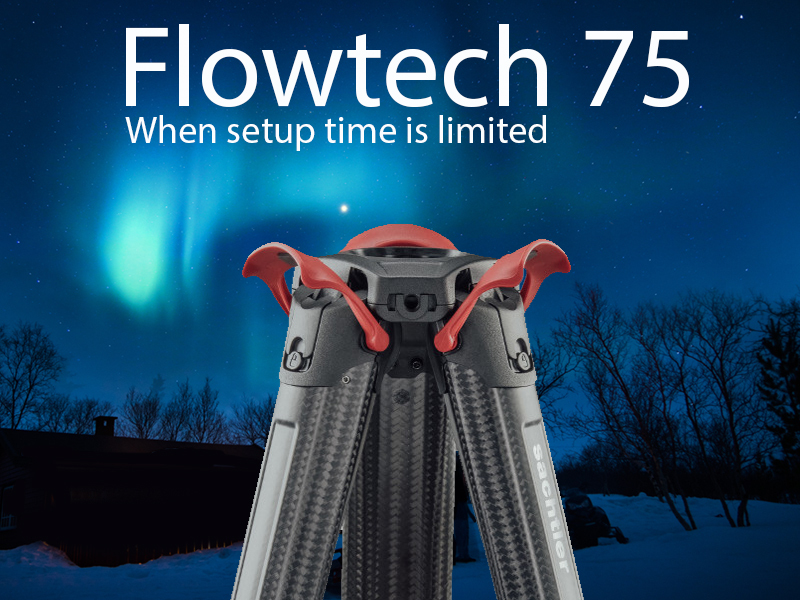 The flowtech™75 tripod legs are unique with quick release brakes which deploy and enable you to adjust your tripod in an instant. New ergonomic carbon fibre leg design means it is easy to transport and has exceptional torsional stiffness. The versatile hinge lock mechanism enables you to capture extremely low and high shots. what – a – beauty!